This week’s links – Interesting reads. 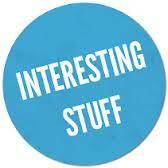 Interesting topics. First up, let’s get straight to the topic of stinky pits, or lack there of thanks to this article. Definitely make the second recipe. It’s good! It’s cheap. The only downer is the total lack of glam, unless you used a really cute little jar – lucky I just ordered some from ebay! Or how about signing this petition to stop the bill being passed to expose the world to ‘frankenfish’. There’s no place for GMO Salmon. It just sounds like something horrible that Mr Burns might have been behind, on a Simpsons episode. They’re up to nearly 1 million signatures so hop aboard and make yourself heard! Lastly, this lamington recipe by the Healthy Chef just in time for Australia Day. Grain free, refined sugar free, gluten free deliciousness. If you’re on the other side of the world and have no idea about lamingtons, it’s probably a good thing as the conventional ones are terrible for you. These however are a revelation, so why not get acquainted! A little deliciousness, mindfulness, action and inspiration. These are indeed the kind of things that make a difference in the world! For anyone who gets down about how much there is to learn, try, move away from or change I offer this fabulous quote! 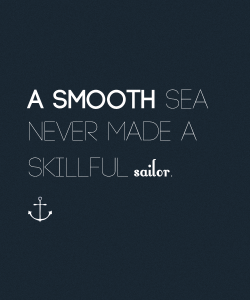 Here’s to smoother seas once we’re fantastic sailors! would rather skip the whole purchasing process.